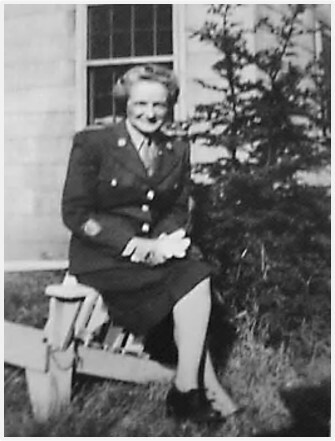 Aunt Marian lived on the family farm and cared for her parents until they passed, and then joined the Women’s Army Corps (WACs) late in World War II. 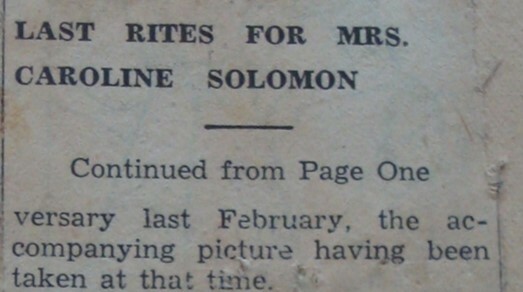 Her mother, Caroline Solomon, was in very poor health for a number of years prior to her death in 1939. I think that she’d had a stroke. Aunt Marian’s father, Frank Solomon died less than four years later, in 1943. Aunt Marian was born in 1899 and was the sixth child of Frank and Carolyn Solomon. In all there were 11 children. Another way of putting it is that Marian was the middle child in a family of 11 children. Marian had six sisters (the oldest, Lillian died of the flu in 1918) and three brothers (though one, Leroy, had died before she was born). The family lived on a farm in central Pennsylvania. 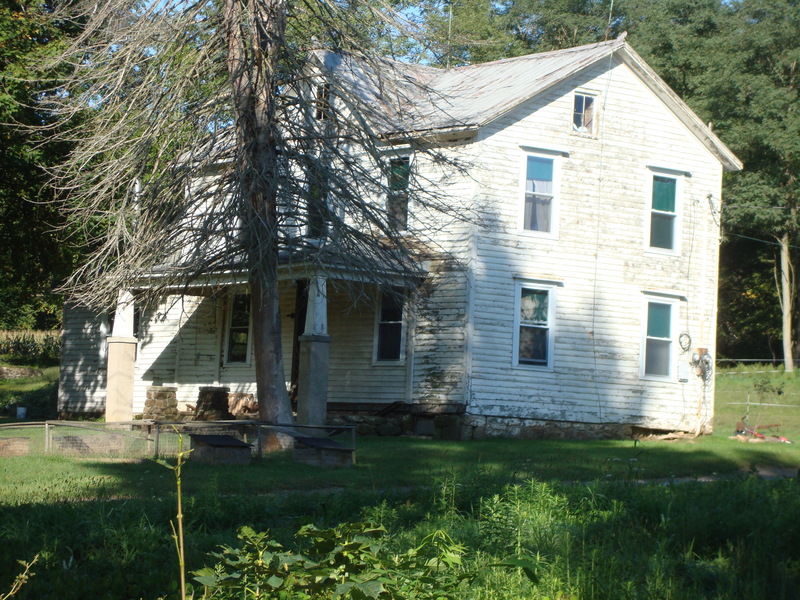 The farm was located in the southern part of Lycoming County near Montgomery. Welcome to my new blog! 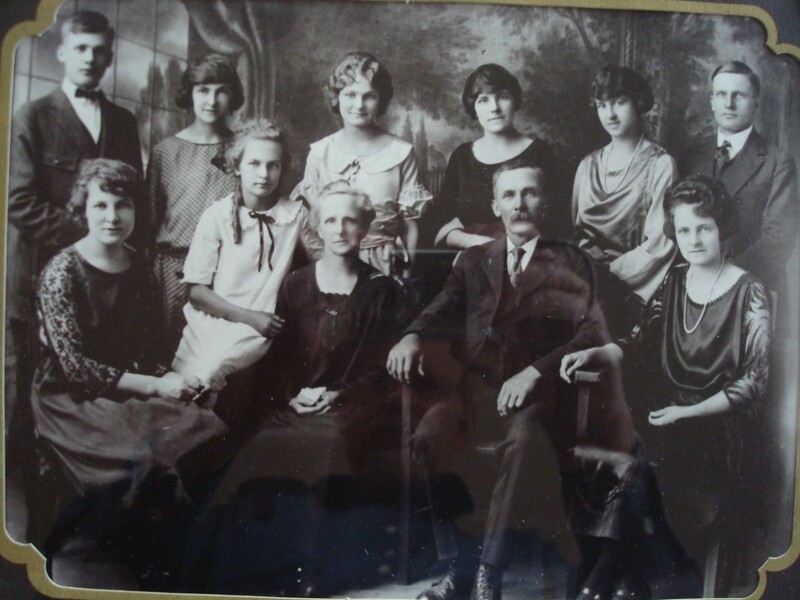 It’s always difficult to know where to begin when embarking on a new adventure, so I guess that today I’ll tell you how I became interested in Aunt Marian and her story. When I was cleaning out my parent’s attic, I found a trunk full of her items, including a handwritten cookbook and lots of Women’s Army Corps (WAC) memorabilia. There were items from Fort Oglethorpe, occupied Japan, San Francisco, and other places. My mother apparently stored the items for Aunt Marian many years ago. 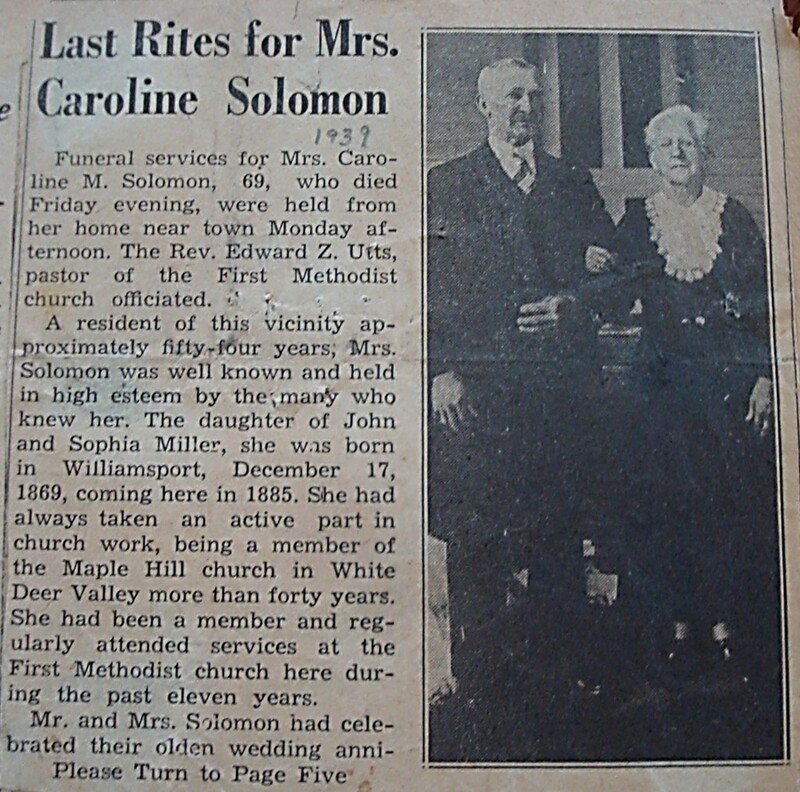 Marian Mildred Solomon, fourth daughter of Frank W. and Caroline (Carrie) Miller Solomon, was born February 17, 1899. She attended the Mountain Grove Country School–an elementary School. She did not attend high school, but took a number of short courses while in the service. Marian helped her father on the farm until his death, July 14, 1943. Then she joined the Women’s Army Corps. She received a few medals for her service and was a Sergeant First Class when she received a medical discharge after almost twenty years of service. Marian was a member of First Methodist Church, Montgomery, Pennsylvania. Her hobbies were many–traveling,photography, ceramics, embroidery, tailoring, sewing, baking, and preparing meals. Her greatest satisfaction in life was keeping in touch with her family and helping them and others. She contributed to many charities. Marian never married. She passed away April 5, 1966. Perhaps Aunt Marian’s life can be summed up in these three paragraphs–but I have a nagging feeling that there’s much more that needs to be remembered and told. How did a woman who was a farm laborer and caregiver with an 8th grade education, reinvent herself in her forties? I hope that you will join me in the upcoming weeks and months as I research Aunt Marian’s story. I’m not sure where the journey will take us–but my gut feeling is that it will be a fun adventure with lots of twists and turns along the way.